Paul Pogba highlighted the importance of mutual trust between Manchester United's players and interim manager Ole Gunnar Solskjaer after Monday's 2-0 FA Cup win at Chelsea. United went into the match at Stamford Bridge on the back of a 2-0 defeat at home to Paris Saint-Germain in the Champions League, seemingly dooming their European campaign. With that losss came the pressure to bounce back immediately, though few would have been expectant given United's record of not winning any of their last nine games at Stamford Bridge. 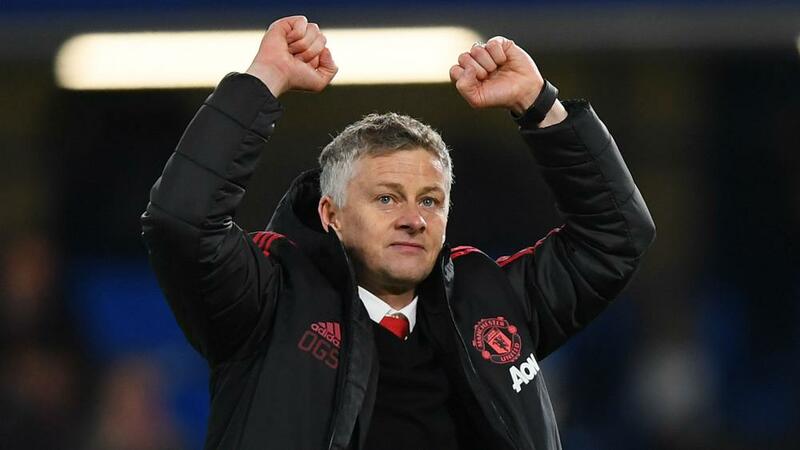 But Solskjaer's men produced a solid performance to qualify for the FA Cup quarter-finals, with Ander Herrera and Pogba both scoring headers in the first half. Injuries to key players Anthony Martial and Jesse Lingard meant Solskjaer opted to change his formation, yet he still got a cohesive performance from his team. "It's a beautiful win, from all the team," Pogba told BBC Sport. "It wasn't easy to get that win, but we did it and we are really pleased. "Obviously, as I always say, we're Man United, we play to win trophies and he [Solskjaer] took this job because obviously he can do it. "He trusts us, we trust him. We go for it [to win the FA Cup], you never know if you're going to win, but we go for it." Herrera put in a tireless display in United's midfield and continued his good run of form, having become a key part of the team since Solskjaer replaced Jose Mourinho. But he was eager to put the focus on second-half substitutes Alexis Sanchez, Andreas Pereira and Scott McTominay, paying tribute to the Chilean's feisty attitude after coming on. "We knew how to play them, I played a more offensive role because we knew they were struggling in that part of the pitch," Herrera said. "But I'd like to also speak about Alexis, Andreas and Scott, the way they came into the game. World class player, Alexis and the way he fought, this is Man United and this is what we want."